Ned Wolf Park's biggest fundraiser is our annual plant sale. This year we've scheduled our annual sale of perennials, shrubs, annuals & miscellaneous garden stuff for Saturday, May 11th from 10 am to 1 pm. Mark your calendar now! 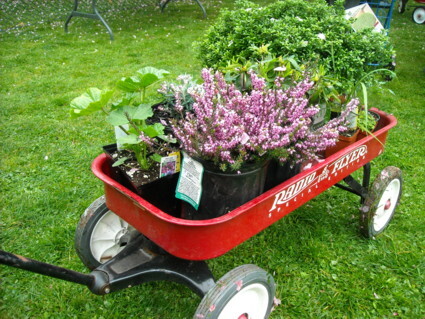 Volunteers are needed both on the day of the sale and during the prior month when we hope to collect plant divisions from some generous neighbors who've donated great plants in years past. With enough volunteer support we can collect even more plants than ever before. Proceeds will go toward annual park maintenance as well as the Terrace Wall Capital Campaign. If you can help by donating plants or volunteering your time (before or during the plant sale), please contact plant sale coordinator Eric Sternfels at emsternfels@msn.com or call him at 215.248.5533.